WASHINGTON, D.C. – February 27, 2013 – (RealEstateRama) — Today marks the one-year anniversary of Realtor® University’s Master of Real Estate degree program. The National Association of Realtors® created Realtor® University to help Realtors® bring value to home buyers, sellers and investors. With 50 active students, the program is now one of the largest graduate real estate programs in the world. Students come from 26 states and Canada and range in age from 25 to 70. The university delivers its programs through a global online campus to meet the needs of a diverse and geographically dispersed student population. Courses include a business and real estate core curriculum and concentration areas in Asset and Property Management, Residential Sales, Marketing and Management, Appraisal and Valuation Services and Commercial Investment and Analysis. “Our goal is to foster lifelong student learning through high-quality entrepreneurial and career-oriented programs in real estate, and to deliver practice-based, applied, current and specialized knowledge opportunities,” said Chairman of the University Board of Regents, Richard Rosenthal. Courses are offered in eight-week sessions, six times annually and taught by Ph.D.-level academic/practitioners. Realtor® University also has the largest real estate library in the world and a Center for Real Estate Studies, a think tank/real estate research laboratory that provides current, hands-on and results-oriented data and analysis relevant to practical applications of industry trends and policy issues. The Center has produced research projects on topics including generational homeownership trends, housing mobility, and the rent vs. buy decision. The first issue of The Journal of the Center for Real Estate Studies will be published in spring 2013. 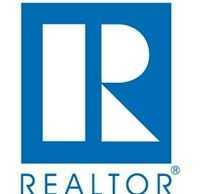 For more information on Realtor® University, visit www.RealtorU.com or call 855-786-6546 (855-RU-ONLINE). Realtor® University is an Illinois 501(c)(3) not-for-profit corporation established by the National Association of Realtors® and organized and operated exclusively for educational, research and related purposes. The affairs of the University are under the direction of its Board of Regents. Realtor® University operates a degree granting educational institution that offers and awards a graduate degree concentrating on real estate and real estate business, offering professional development and continuing education in real estate, provide scholarship assistance programs and has developed and operates the Realtor® University Center for Real Estate Studies to conduct and disseminate real estate research and data. The National Association of Realtorsr®, “The Voice for Real Estate,” is America’s largest trade association, representing 1 million members involved in all aspects of the residential and commercial real estate industries.